Give Me Some of That Fitness "Emmspiration"
From the day I left my old job where I taught and had a strong Zumba following, to open my own studio, my members have referred to me as “the Pied Piper of Zumba.” Well, they followed, and so did their friends and friends of friends, and the rest is history at Studio M Dance Fitness. But what gives me the most satisfaction is the feedback I get from my members, in one way or another, every day…how much Studio M has changed their lives. And changed it for the better. My girls, my members, call it “Emmspiration”! 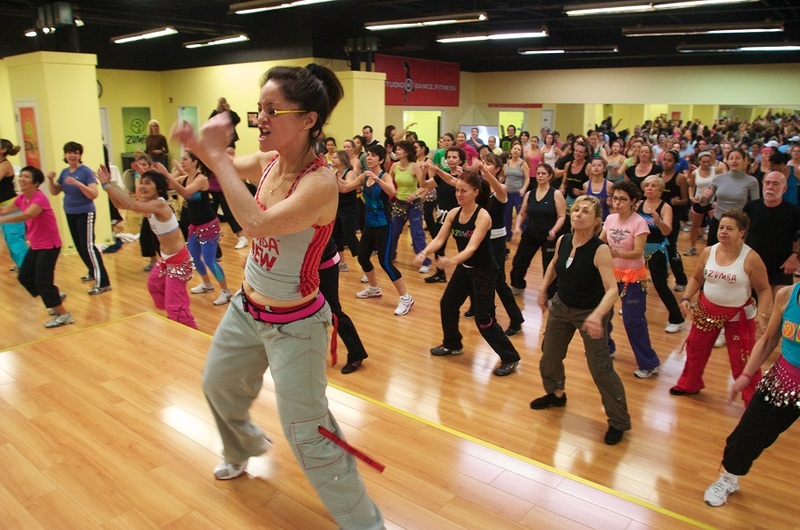 That no matter what the issue, no matter what the age, if they get themselves to the studio and commit to coming to Zumba class, just for themselves…the results become apparent inside and out. And their stories keep on coming. From members who have cancer, to those in remission, to those who experience depression, to those dealing with aging parents, or a nasty divorce…they know they have a home here: a safe, easy place where no one judges, and the energy is all positive, producing positive results. To come to a class at Studio M, you may walk in with the weight of the world on your shoulders, but you leave renewed. Sometimes without even being aware of it, life just seems to be a little bit easier no matter what comes up. You just feel emotionally lifted and accomplished, and you did this for no one else but yourself. Stick with it long enough, even a month will do, and I promise you, as I’ve told all my members, the results are there. A lot of the time, the same results you’ve tried for years to achieve, but you haven’t. At Studio M, we don’t think failure. We think fun. Thus the line, “Move it, or lose it!” Everyone’s in the same boat here; it’s a sisterhood. We are all ages, all shapes and all sizes. We all have problems. We all have to solve them. We all have to carry on. But it’s how we do it, from that place within us that makes the difference. At Studio M, no one cares what you look like or how you do what you do. We’re here to do our own thing, and support each other in this quest for a healthier, better way to live. And believe me that collective energy produced in the studio is palpable. And each member has a story. One woman came to me so down, overweight, and just plain stuck in the mess that had become her life. Life as she knew it was falling apart and about to change dramatically, and she was emotionally done in and grasping at straws. After raising two kids and living a very nice lifestyle, suddenly she found herself out of work, with a husband who also lost his job and the snowball began to roll, and roll fast. Bills were mounting, money was insanely tight and and the shocking realization was setting in. Life as they knew was over, and shortly they would have to lose their house. And so all the “stuff of life” suddenly becomes so unimportant and even burdensome. What was needed for her, was strength from within, support she could feel and internalize ands upport within herself that could empower her. And lucky for her, she walked through the door at Studio M Dance Fitness. Six months later, the situation hasn’t changed all that much, but the person and the attitude handling it certainly has. She has gone down two sizes, lost 11 lbs, and is carrying a new lightness of being. She took control of what she could and turned it into a positive. And by doing so, empowered herself to get through this next phase of her life. Sounds pretty crazy that all that can come from a Zumba class three or four times a week, but it’s true. It’s been proven time and time again, and that’s just one of the many different stories here in Studio M. Best of all, the inspiration and empowerment is contagious, and once the members get a taste of it, they’re hooked. Hooked in a good, healthy way. For the mind and the body and that really is inspirational! Emm is the most inspirational instructor I’ve ever had!